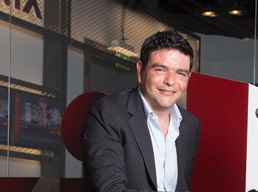 Mr. Carlos Tibi is the Founder and Chief Executive Officer of icflix, where he oversees all activities of the company. Prior to icflix, Mr. Tibi served in a number of leadership and senior management roles for multinational companies such as Oracle and Deloitte & Touche. A strategic thinker with exceptional leadership skills, Mr. Tibi was previously involved in successfully architecting and implementing leading ecommerce and online digital solutions for Tier-1 Internet companies globally. Mr. Tibi has led many multi-national projects for Fortune 500 customers across the United States, Europe, Latin America and the Middle East. Mr. Tibi has also independently established multiple profitable business ventures in the areas of Internet Technology (IT), Secure Cloud Computing including various Real Estate ventures. Mr. Tibi has been recognized by his peers for consistently delivering financial results and business performance in the most competitive global environments that maximize value for corporate investors and stakeholders. Mr. Tibi’s vision for Iicflix is to create the #1 global entertainment Over The Top (OTT) streaming company that provides the best content anytime, anywhere and on any device.